On January 30, 2008, Scott Armstrong gave a talk presenting his findings to the US Senate Committee on Environment and Public Works’ “Examining Threats and Protections for the Polar Bear”. Click here for full text of the talk. The following are selected excerpts. Full text is available of the paper “Polar Bear Population Forecasts: A Public Policy Forecasting Audit” by Armstrong, Green, and Soon. We conducted forecasting audits of two of the nine administrative reports that were prepared in 2007 to “…Support U.S. Fish and Wildlife Service Polar Bear Listing Decision.” We selected the reports Amstrup et al. and Hunter et al. as they appeared to be the primary forecasting documents. Our concern was to establish whether the reports’ forecasts of the polar bear population over the balance of the 21st Century were the product of scientific procedures. 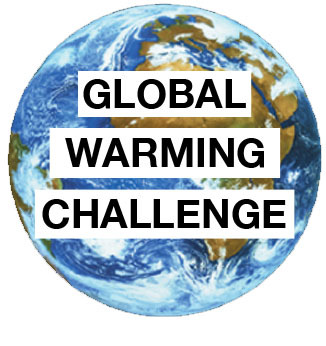 Retired physicist Roger Cohen offers a public wager of $5,000 that the Earth will be cooler in 10 years, setting Feb. 9th as the deadline for individuals to take him up on the challenge; he cites Armstrong’s $10,000 challenge to Gore as inspiration. Click here for Durango Herald’s full article. Herald readers have had the opportunity to discern the flimsiness of the climate catastrophe case and to witness catastrophe advocates’ anger against those who disagree and their reluctance to debate technical issues. If advocates remain confident of impending climate catastrophe and firm in their belief that worldwide government interventions are urgently needed, they will seize the opportunity I offer here. I offer a public wager of $5,000 that the Earth will be cooler in 10 years. The wager is open to one individual or group of individuals. If more than one individual or group is interested, I will choose one and notify the others. The determining metric will be simple: whether the global average temperature for the year 2017 is higher or lower than 2007, as determined by the authoritative “HadCRUT3” data set (Climatic Research Unit, U.K.), or its successor. Funds will be deposited in an escrow account. Interest earned will be paid to the escrow agent. There will be a simple written agreement between the parties (I will pay legal counsel to prepare), and the parties will sign an escrow agreement relating to the deposited funds. My winnings will be donated to a local charitable organization promoting science education. The wager is aimed at focusing attention on the critical issue: future climate and our ability to predict it. The United Nation’s climate panel relies on computer models for its projections and predicts that the Earth will likely be warmer in 10 years. The wager involves actual global climate data – no computer predictions, cherry-picked anecdotes, appeals to “majority opinion,” distortions of fact, or unfounded proclamations. No excuses. If the amount is too high, advocates can run a fundraiser. If it seems low, propose a different amount. Want a different data set? Propose one. Trying to divert attention to those “nasty energy companies” and similar smokescreens will only emphasize the weakness of your position. Parties should respond by mail – P.O. Box 3162, Durango 81302 – within 20 days of this publication. If no one responds by that time, there will be no wager. The following are some excerpts from the article discussing Alaska’s decision whether to list polar bears as endangered or not. Click here for the full text available online. Ken Taylor has had easier jobs than this one. It’s not like the good old days chasing rhinos, climbing into bear dens and wrestling beluga whales in shallow water. These days, sitting at a desk as deputy commissioner of fish and game, the veteran wildlife biologist has to muster the best science he can find to argue that Alaska’s polar bears are in good shape and need no special protection from hypothetical doomsday scenarios. This requires Taylor to stand up to the prevailing wisdom about global warming in most of the world’s scientific community and the public — not to mention some pretty strong opinions in his own department. But Taylor, the Palin administration’s point man on polar bears, argues that the scientific justification simply isn’t there — at least not yet — to declare the polar bear “threatened” and touch off a cascade of effects under the Endangered Species Act. A decision on the bears is expected from the U.S. Department of the Interior in the next few weeks. The state also pokes at studies used to predict the future of polar ice, quoting at length from the climate scientists’ own demurrals about margins of error. The chain of predicted problems following from those studies are based on “unsupported conjecture,” the state says. The state’s critique was based on the work of a consultant, J. Scott Armstrong, a University of Pennsylvania expert on mathematical forecasting who has elsewhere challenged former vice president Al Gore to a $10,000 bet on whether the globe is truly warming.